Facebook’s Biggest Change In A Decade! Google Untrusting One Third Of All SSL Certificates!? Facebook have rolled out an update that gives all users access to the new Facebook Camera feature. The new camera lets you overlay special effects on videos and photos. You can then share these videos and photos in ‘Facebook Stories’ which is like a Facebook version of Snapchat. Similar to Snapchat, Facebook Stories disappear after 24 hours, even when shared on your newsfeed. Facebook Camera Product Manager Connor Hayes stated that... “The way people have been prompted to share for 10 years, it’s very text-centric” “Our new camera puts visual content at the heart of the Facebook experience”. The best way to capitalise on this new evolution of Facebook in your business is to become an early adopter. Start using the new Facebook Camera and Facebook Stories to communicate with your audience. Create engaging and interesting content on the new platform, and watch your audience grow. 18% of respondents admitted to checking social media 10 or more times during their workday. In contrast, 12% said they never checked social media at work. Regardless of where you sit on the scale, frequently checking social media has the potential to decrease your productivity. Are you checking Social Media every time you get an email? Each time you open a new browser tab? More often than not, you can break bad habits just by knowing when they occur. Each time you use Social Media, write it down. If you notice a clear pattern emerging try swapping your social media fix... for a walk, or a chat with a co-worker. Dr. Richard A. Chaifetz of ComPsych says it’s necessary to “Think about what's important to you and how you'd rather spend your time". Make sure that you’re spending your time on activities that will have the biggest impact on your business. Be sure to set yourself daily limits on the frequency and duration of your social media activity. Just because someone posts about what they had for lunch, it doesn’t mean you have to react to it immediately. 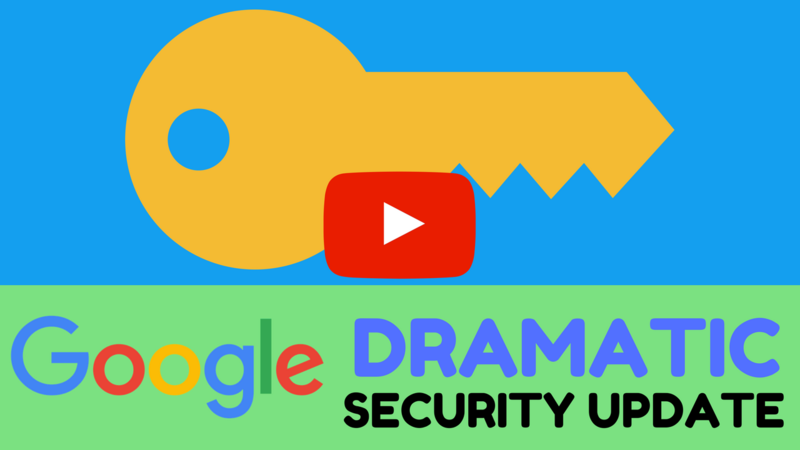 In breaking SEO news, Google is planning to untrust millions of SSL Certificates in Google Chrome! SSL certificates are used to encrypt the connections between browsers and HTTPS enabled websites. They also help users verify that the website is legitimate, and not a spoofed version. Most modern websites will utilise an SSL certificate, especially e-commerce websites. So why is Google considering this unprecedented action? Google has accused Symantec of not upholding security practices expected of certificate authorities, which has led to certificates being issued without proper domain ownership verification. According to a Netcraft survey... Symantec is responsible for issuing 1 in every 3 SSL certificates. So the impact of this will be huge if Google follow through with their threat. What does this mean for you? You must check your SSL Certificate. If Symantec issued it, be prepared to renew it! If it was issued by someone other than Symantec, it’s still a good idea to check the expiry date, and set a reminder so that you don’t forget to renew it!